Skylights are a lovely way to let natural lighting flood through your home interior. Daylighting will also save you energy bills. Former U.S. President Thomas Jefferson was so beholden by skylights that when he his own home known as Monticello, he incorporated 13 skylights, including an oculus. The world’s longest skylight can be found in one of Canada’s shopping malls, the Core Shopping Mall. The skylight has dimensions of 85 feet by 656 feet and includes 1,740 pieces of glass. One of the most popular types of skylights are the ventilating skylights. These types of skylights are capable of providing a significant amount of additional light to any room where ever you want it. Essentially, this is going to be adding a new window onto the roof of your house. This window is going to give you added lighting and it also works perfectly to give yourself a nice view of the night sky. People like to choose the ventilating skylights because of the ventilation that they can provide. These lights are often installed in bathrooms, kitchens, and washrooms because these are the rooms most in need of ventilation. The excess moisture in these areas needs a place to escape and the ventilating skylight is a perfect solution. You’ll love the way that this new feature will look in your home and it has many practical benefits as well. The only problem with ventilating skylights is that not everyone will have the room to install one. One of the reasons why people may have to shy away from this style is that it simply takes up a significant amount of space on your ceiling. It isn’t impractical for most people, though. In most cases, you should be able to make use of this type of a skylight, as long as your house isn’t really small. These skylights are really popular for bathrooms because they can help to provide a really nice atmosphere. Being able to open the window for ventilation allows people to take a bath while enjoying the feeling of the night. Gazing up at the stars and enjoying the vibe that you have created in your home is going to make installing this skylight feel like it was worth it. A skylight like this can definitely add some appeal to your home. Fixed skylights are very similar to ventilating skylights overall. The biggest difference is simply that they don’t provide ventilation. If you don’t necessarily need ventilation in the room where you want to add some lighting, then looking into a fixed skylight would be smart. There are those who prefer the fixed skylight option simply because these are perfect for installing in hard to reach areas. If the ceilings in your home are quite high, then you could easily have one of these installed to provide some dramatic lighting. Being able to enjoy looking up at the night sky is going to feel really nice if you get one of these installed. They work well even on cathedral ceilings, so you will certainly be able to make use of a fixed skylight. The view will look great and the amount of light it will bring into the room is significant. These types of skylights are also available with durable plastic domes that go over the outside of it. These aren’t entirely necessary, as when you install these skylights properly they are sealed very well. The joints always need to be tightly sealed to ensure that moisture doesn’t get inside and cause any problems. Some people like to install the durable plastic domes just for the sake of having the extra peace of mind. It’s always recommended to get these fixed skylights installed by a professional who knows what they are doing. If you are quite handy and you wish to install this skylight yourself, then just remember to do things properly. You want to make sure that the sealing is done tightly and that everything lines up just right. You’ll be able to find many excellent fixed skylights at hardware stores and major online retailers. Tubular skylights are incredibly convenient for those who don’t have as much space on their ceilings as others. These skylights are quite compact, but they will still be able to provide an ample amount of additional lighting to whatever room you decide to install them in. 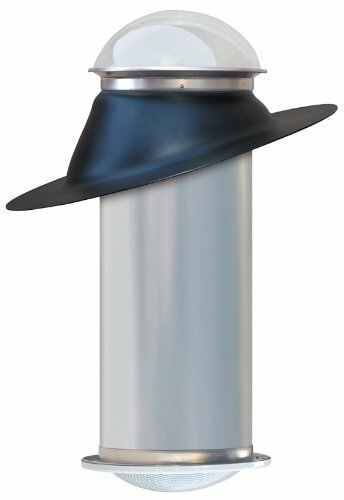 Essentially, this is a tube that will start all the way on top of your roof and go down to the room where you are having it installed. The tube will be able to redirect natural sunlight down its shaft using optical techniques. One of the most convenient aspects of this type of a skylight is that you will be able to angle the skylight to fit into spaces where you wouldn’t be able to fit another type of skylight. This allows you to plan for your tubular skylight to wrap around certain design features in your attic. You will be able to place this skylight in the perfect spot to suit your needs. For the most part, these tubular skylights are very simple to install, too. You won’t have to work too hard to get excellent results when you decide to make use of one of these. It has a lot of advantages and it works well to provide light to areas in your home that need it. People really love putting these tubular skylights into pantries, closets, foyers, and even hallways. 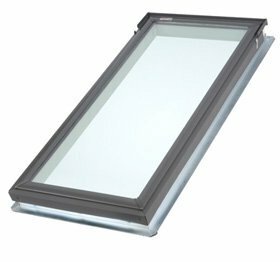 The negative aspect of this tubular skylight is that it doesn’t provide you with a beautiful view like the fixed or ventilated options. You won’t be able to enjoy looking up to the night sky. If the reasons for your wanting a skylight are aesthetic or romantic, then this tubular skylight isn’t going to be your best option. This is a practical skylight that is meant for getting natural light into particular spots of your home. The tilt window skylight is a variation of a ventilated skylight. This differs from the normal ventilation skylights by opening in a different way. 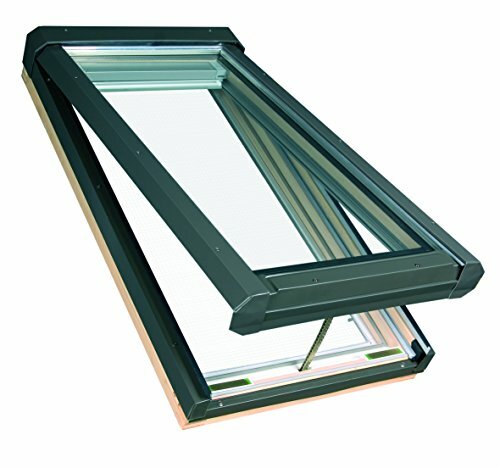 This type of skylight window has an upper hinge that allows the window to open. Some people think that this way of opening the skylight window up is more convenient, but it really comes down to personal preference. These tilt window skylights are going to be able to give you an ample amount of natural sunlight in any room that you put them in. They will also be quite beautiful to look at. Opening the window on a clear spring or summer night can be a quite invigorating experience. For this reason, many people choose to install this type of skylight in their bedroom. Installing a skylight in your bedroom can help you to create a very romantic setting. If you and your spouse would enjoy being able to gaze up at the stars, then installing a tilt window skylight is going to be the perfect way to make it happen. You just need to be careful to get this skylight installed properly. This type of skylight should be installed with a flashing kit to keep your home safe. Flashing kits are used to make sure that the skylight window you are installing is waterproof. This is essential for preventing any problems with leaks, flooding, and even mold. These kits may be sold separately, so you will want to ensure that you buy the right one if you are choosing to install your skylight yourself. It is also possible to hire a professional to do this for you and they will be able to bring all of the proper equipment. Before you decide whether you will want to purchase a curb-mounted skylight, you should understand what the term actually means. The curb mount is referring to a frame that has been built to house the skylights. This frame is raised and the skylights attach right to it. This is a simple design that is also very effective, and building the curb out of wood isn’t too time-consuming at all. These curb-mounted skylights have proven to be one of the most popular styles of skylights on the market. They’re relatively affordable to purchase and they work really well in any type of room. You will find that skylights that are curb mounted are easy to install overall, so most of the time spent will be building the curb itself. You will need to buy a flashing kit to ensure that everything is completely waterproof, though. Making your curb-mounted skylight waterproof with the flashing kit isn’t too difficult at all. If you feel like you aren’t capable of installing your skylight properly, it can be beneficial to call in professional help. Many people do not have any trouble installing these styles of skylights, so it shouldn’t be too arduous for someone with a bit of experience doing home improvements. You will be able to find any type of skylight that you could desire being sold in the curb-mounted style too. Deck-mounted skylights are more recent than their curb-mounted cousins. These have become increasingly more popular in recent years. You won’t be required to build a “curb” to house your skylights, as the skylight itself will act as the curb. Some people have referred to this process as flush mounting, as the skylight will be flush with the roof. In some ways, these deck-mounted skylights can be a bit more difficult to install. You need to make sure that you are doing everything just right in order to have the best results. When everything is done properly, these styles of skylights are going to be much more energy efficient than the curb-mounted variety. People who install these deck-mounted skylights also think that they are much more visually appealing than other types of skylights. It definitely does look more natural when you install a skylight in this fashion. If you do not have much experience with modifying structures, then it might be beneficial to call in some help for this project. Regardless, you will need to make sure that a flashing kit is used to keep your home safe from leaks. The skylight needs to be sealed very tightly in order to prevent rainwater from seeping in and to keep moisture from causing any mildewing issues. Once your deck-mounted skylight has been installed, you will be able to enjoy the beauty of it every day. This can be a feature that will add to the enjoyment of your home significantly. If you have been dreaming of a fancy skylight that will provide you with a great view of the night sky, then this style is going to appeal to you greatly. The fact that it is energy-efficient pushes it over the edge as a highly-recommended option. Some skylights have the added convenience of being able to be opened electronically. This is a whole lot easier than having to climb on a ladder or a step ladder to get your window open. The ventilation feature is why many people decide to buy a skylight in the first place, so you want to be able to open the skylight up without it being a big hassle. The electric opening functionality is going to make your life a whole lot easier, so it is worth tracking down a skylight with this built-in feature. Amazingly, the skylights that feature electric opening as a feature don’t even cost that much more money. You will be able to purchase them for just a bit more money than you would a skylight window that manually opens. Paying a bit more money for the added convenience makes sense, and you will be able to rely on everything working swimmingly for many years to come. The electric opening feature is very good and you won’t encounter any issues with it, so long as you are purchasing a quality skylight from a reputable source. A remote control is used to open the electric opening ventilating skylight, which is included. The remote control isn’t complicated in any way, so you will be able to open your skylight window without any problems. You will find that the skylight opens very quickly and you will be able to enjoy the night air whenever you want. This is really convenient when you have a bathroom skylight and the mood to feel the breeze strikes you. There are those who prefer to open their skylight window up manually. Some people don’t trust an electric skylight to continue working in the long run, and they would prefer to be able to open it up themselves. If you feel this way, then you should know that there are great options available to you. You can buy a really nice ventilating skylight with a manual control rod. Skylights that have a convenient manual control rod are actually really simple to use. You will never feel like you have to force the window open or worry about it getting stuck. The manual control rod will always be able to pop the skylight window open with relative ease. If you are hesitant to rely on a remote control due to fears of losing it or having it not work after a few years, then this is the option for you. Just remember that you will need to make sure that you are closing this type of ventilating skylight properly. This is entirely manual, so if you forget to close your skylight snugly, you could accidentally allow some moisture to seep in. This isn’t going to be good for your home, so you should always be diligent about closing the skylight properly. It might be beneficial to double check to make sure that your manually closing ventilating skylight is closed properly, just to be on the safe side. You know that ventilating skylights are among the most popular styles of skylights. So many people want to be able to actually open their skylight up so that they can feel the night air. One of the issues that are presented when this is happening is that you will be opening yourself up to an insect problem. You usually want to feel the night air during the spring or summer months, and insects such as mosquitoes can be a problem during this time. Having your home filled with mosquitoes, flies, and other undesirable insects will not be the most appealing idea in the world. To avoid this, you should seek out a ventilating skylight that also has an insect screen. You should be able to find a good ventilating skylight that has this type of feature without having to look too hard. It will be very convenient and you will be able to enjoy having the skylight open without needing to worry. When you have the insect screen, you will have the option of leaving your skylight open all night if the weather is nice enough. You won’t have to be concerned about waking up and finding yourself covered in mosquito bites. 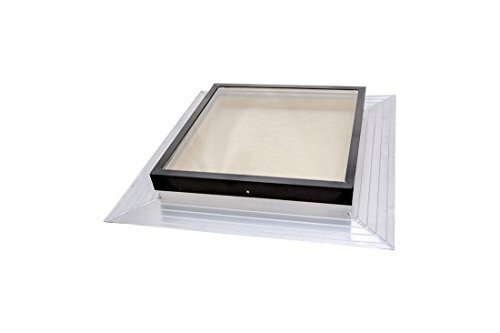 This is a great feature and it is one that has become quite common among the most popular ventilation skylight models. You’ll be able to find the perfect skylight to suit your sensibilities and it will also come with this handy feature. You can even purchase a ventilating skylight that is solar powered. If you have been paying attention to modern trends, then you are likely to be aware of just how popular and convenient solar-powered items are. When you are able to rely on the power of the sun to operate your devices, it makes everything so much more convenient. You will save money on energy bills and will never have to worry about power-consumption problems. This skylight feature is really convenient as your skylight is naturally going to be soaking up a lot of sun rays. It will always have plenty of power to operate itself, so whenever you get in the mood to open up the skylight to feel the breeze, all you will have to do is press the button on the remote. The skylight will open up for you and you will be able to enjoy yourself in a convenient fashion. This is preferable to the normal electric-powered skylights for many people, and you will be able to feel good about installing something that is so environmentally friendly. Your solar powered ventilating skylight is going to operate in much the same way as a normal electric-powered skylight. It will come with a small remote control device that you can use to open and close the skylight window. It will work very reliably and you won’t ever have any issues with it. Keep your remote somewhere convenient so that you will be able to open the skylight when the mood strikes you. This feature will help you to create many great memories in your home. It doesn’t cost any more to get a solar-powered ventilating skylight than it does to buy an electric one, so this is a good choice. It will be up to you on whether you prefer this over the electric option. With the solar-power trend becoming more prevalent all the time, these skylights are likely to be among the most common before too long. One worry that some people have when they decide to install a skylight is that their furniture will be damaged by the sun. The sun has powerful rays and the UV rays that it emits can fade your furniture if it is exposed to it too much. Sun fading is something that occurs in many pieces of outdoor furniture, and you certainly don’t want this to happen to your expensive living room set. Thankfully, you can buy a skylight that comes with a handy feature called impact glazing. This impact glazing is going to protect your furniture and other items in your home from the UV rays of the sun. It has been proven to block up to 99% of all UV damage, so you will have more peace of mind when you have a skylight that has this feature. It definitely comes in handy, so you should try your best to find a skylight that will protect you in this fashion. Skylights with this feature are affordable overall, so it is worth your time to seek one out if you are planning on putting a skylight in your living room.